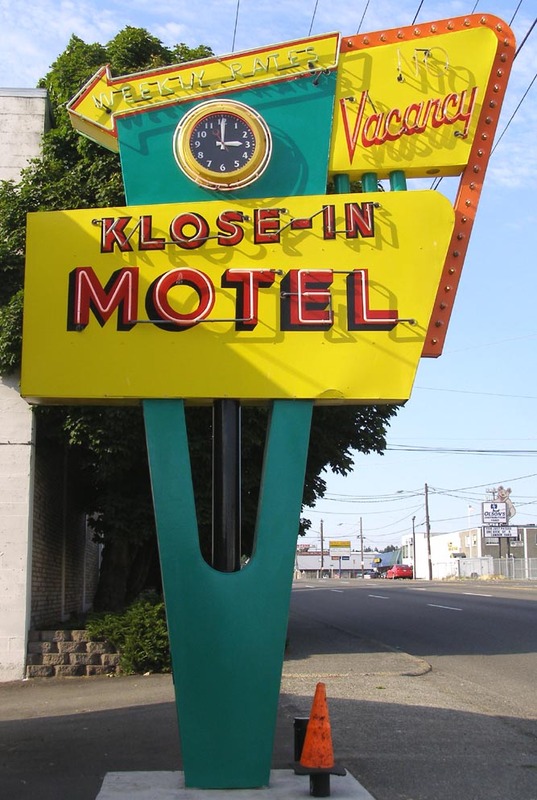 The Klose-In Motel opened in 1930 as the Klose Inn Auto Court. 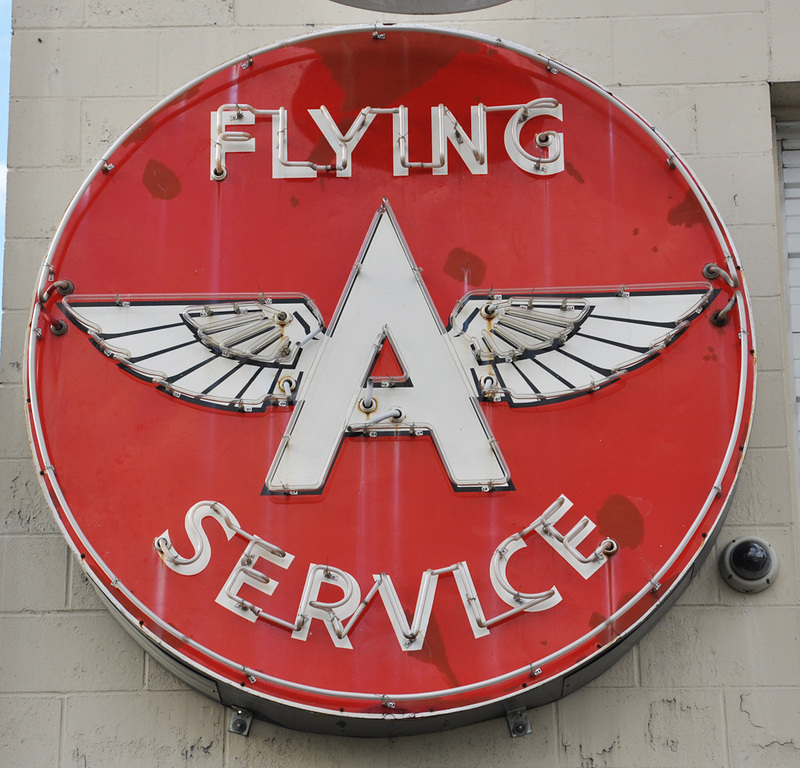 This sign was built in 1951. 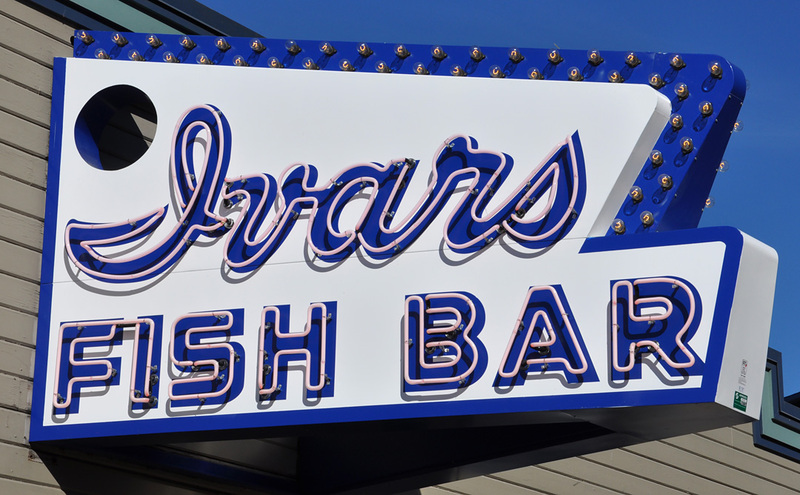 The sign was restored shortly after this photo was taken in 2008. There was a natural gas explosion in 2014 that damaged the motel. 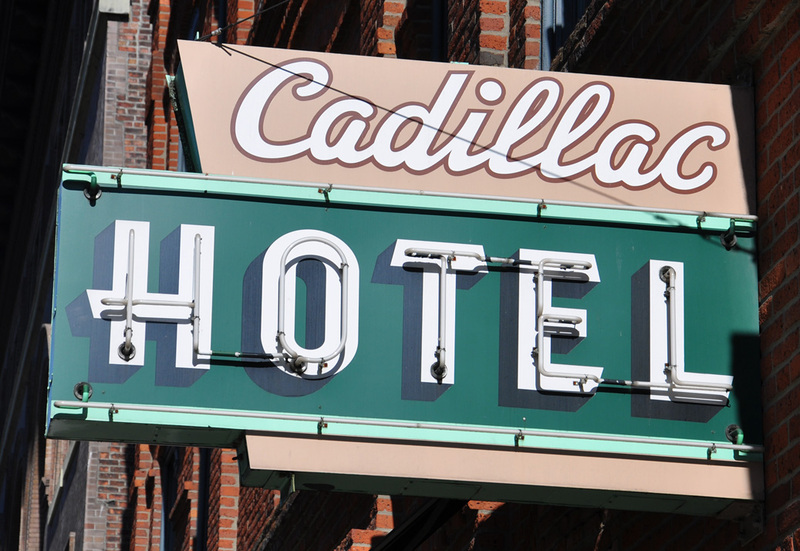 The motel was demolished in 2017 and the sign is gone. I don't know if anyone saved it. For more, see this website. The Green Lake Motel closed in 2008. 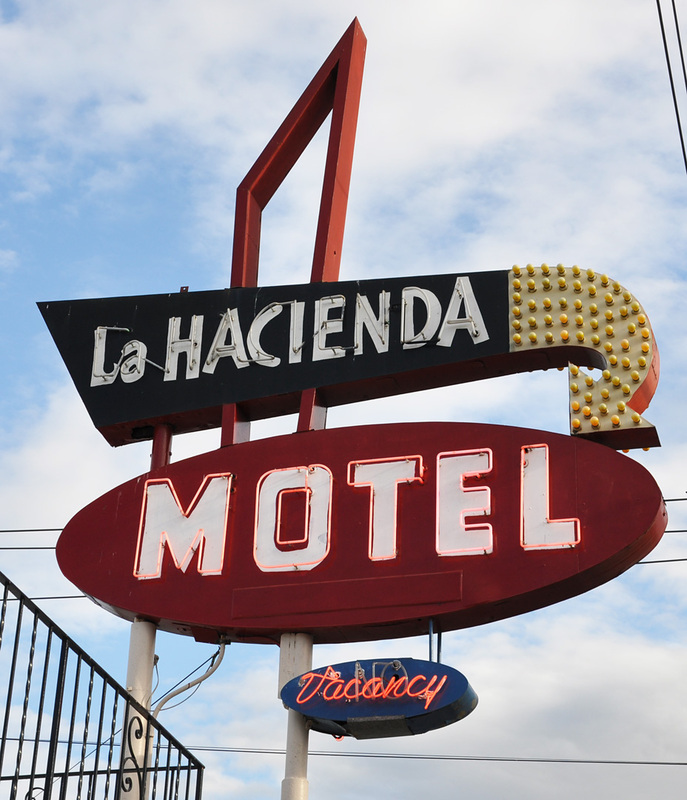 The top part of the sign originally rotated with the motel's name on one side and "vacancy" on the other. This photo is from 2008. 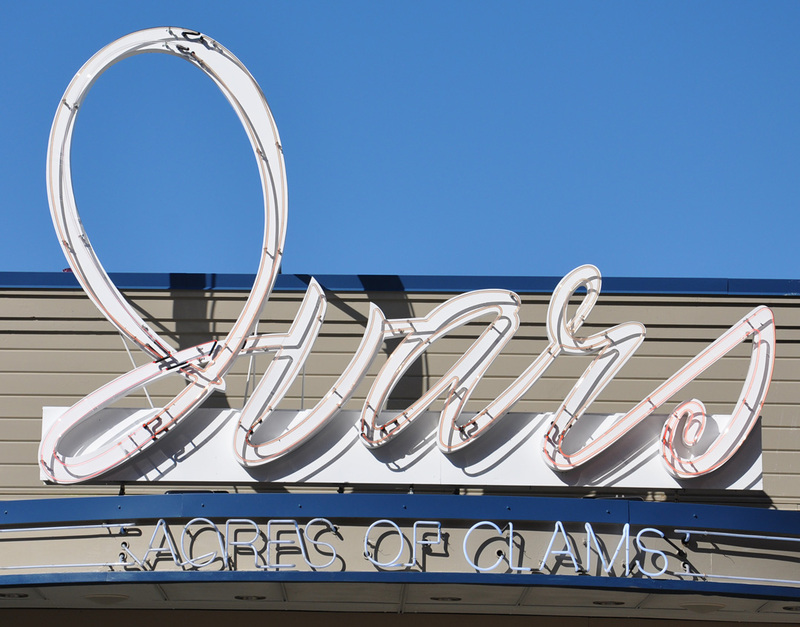 By 2011, the sign was gone and the name had been changed to the Oaktree Motel. 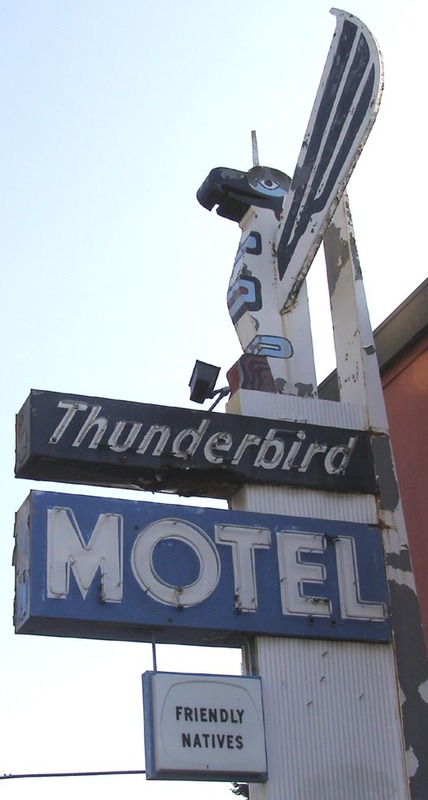 The Thunderbird Motel and sign were built in 1956. The motel was demolished in 2012. 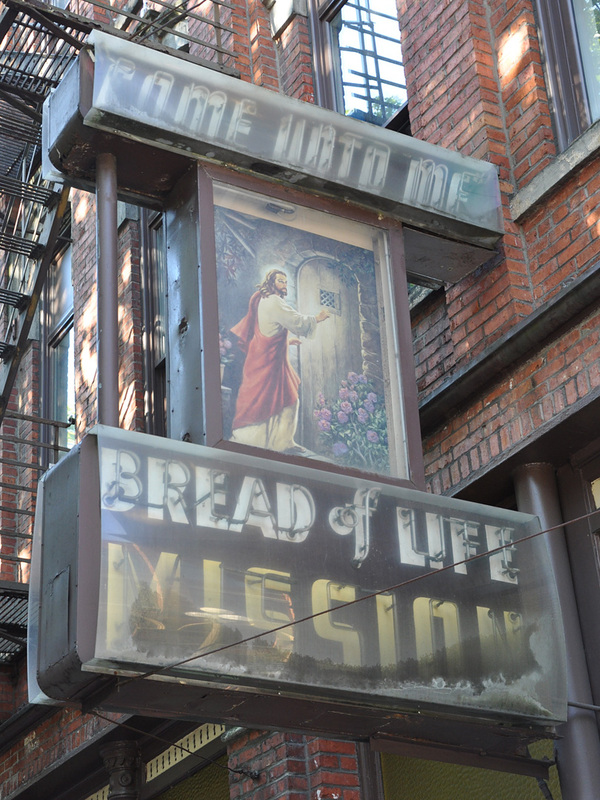 According to a news article, the sign was saved by a "neighbor." For more, see this website. 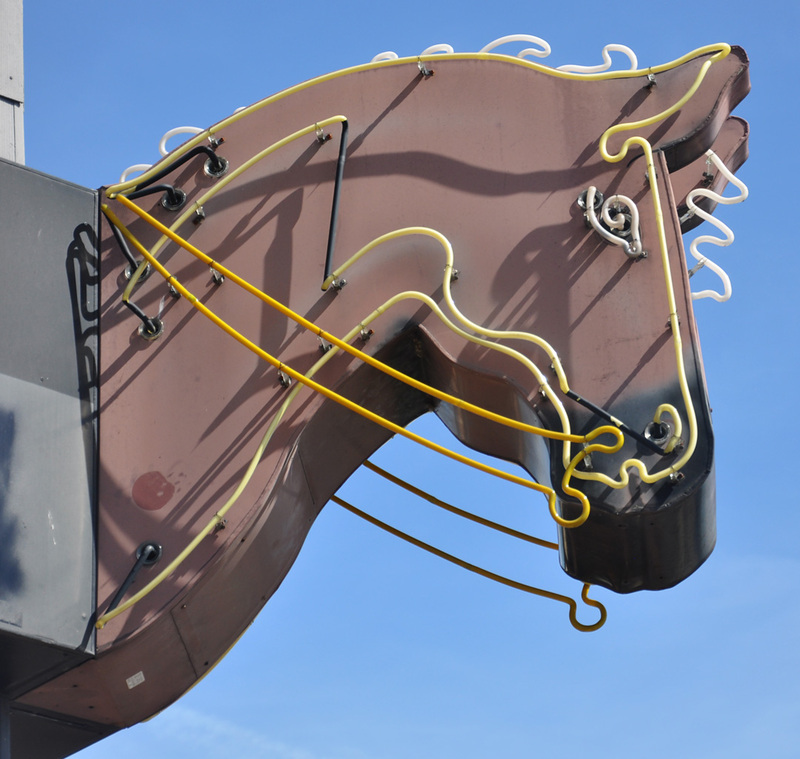 The former Cascade Motel sign was repainted and the neon removed in 2008 as shown here. 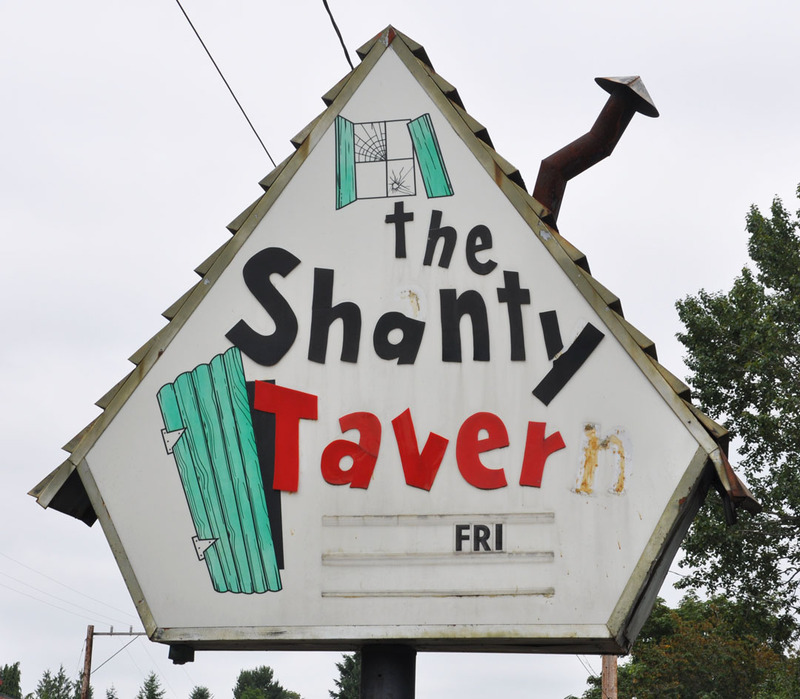 The sign was still there in 2012. 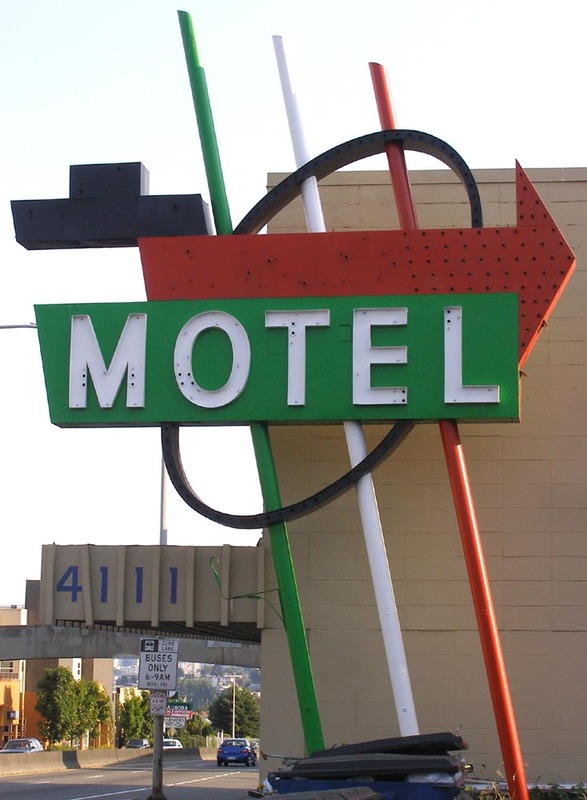 By 2014, the motel had been demolished and the sign was gone. For more, see this website. 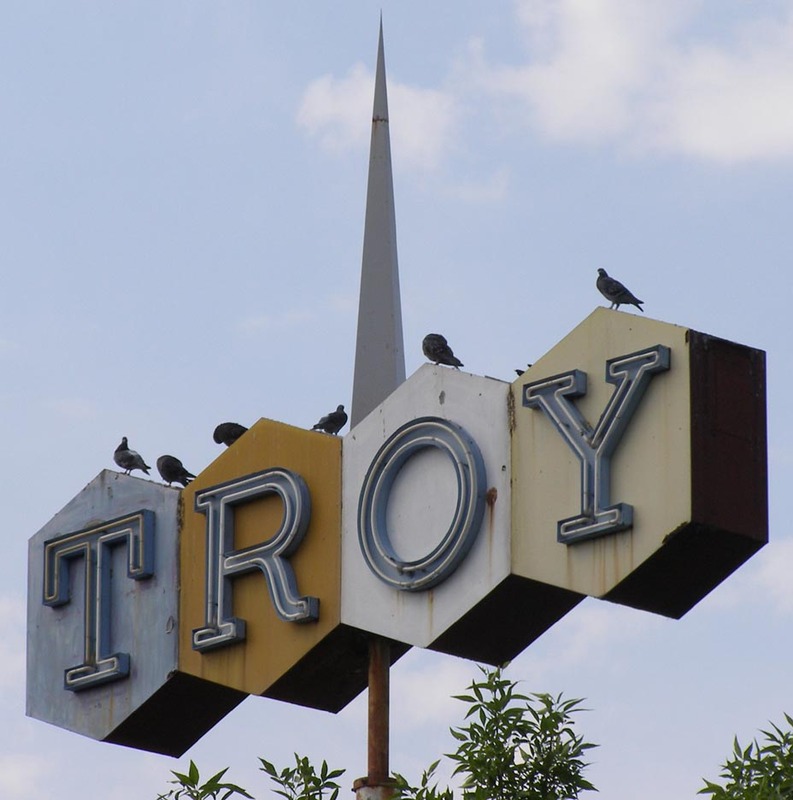 The Troy Laundry was established around 1905. It moved to this building in 1927. 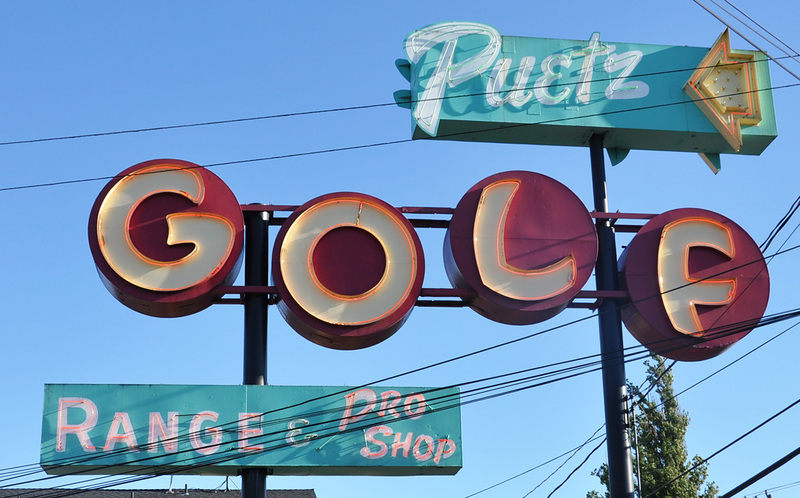 By 1948, the Troy Laundry plant was the largest laundry operation in the Pacific Northwest. 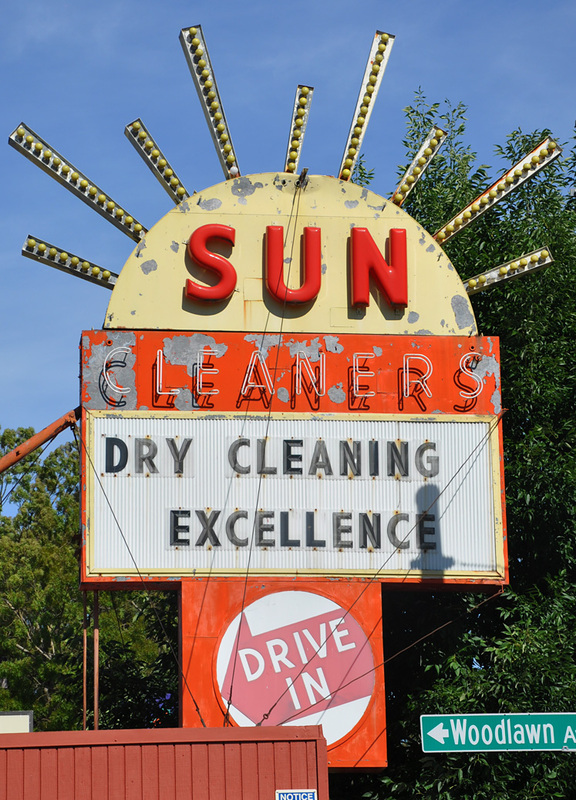 This sign was probably built in the 1960s. This photo is from 2008. Around 2014, the building was demolished. 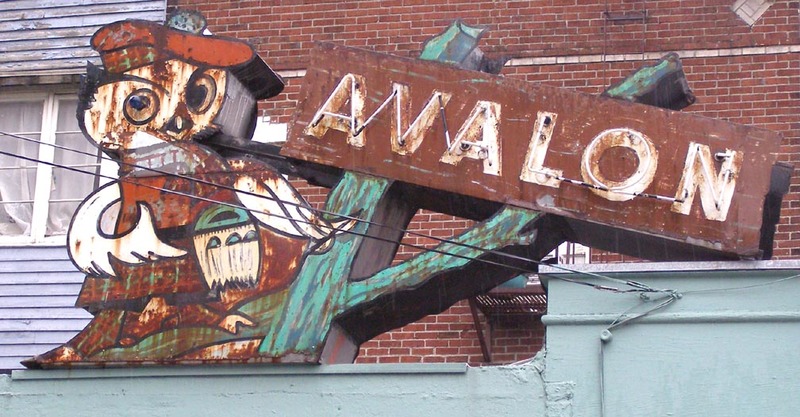 The facade was saved but the sign was gone. 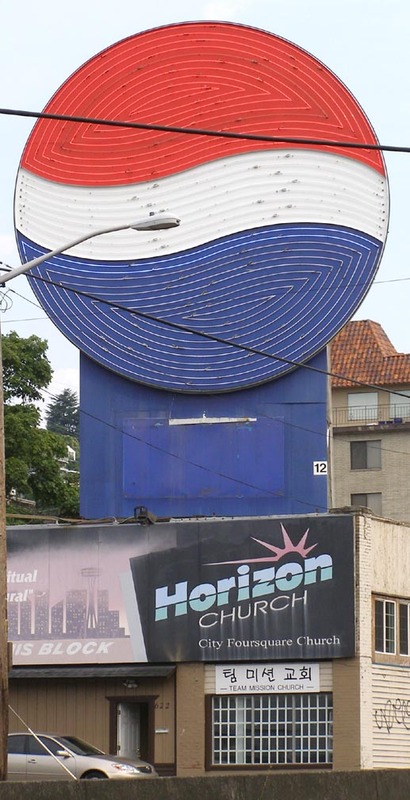 This Pepsi sign was installed in 1998. 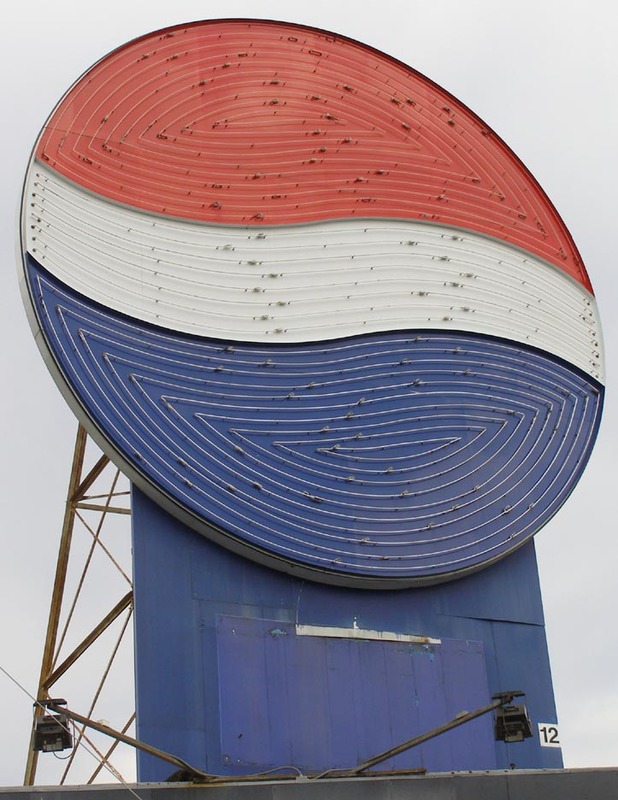 This sign replaced a previous Pepsi globe-shaped sign from 1958. 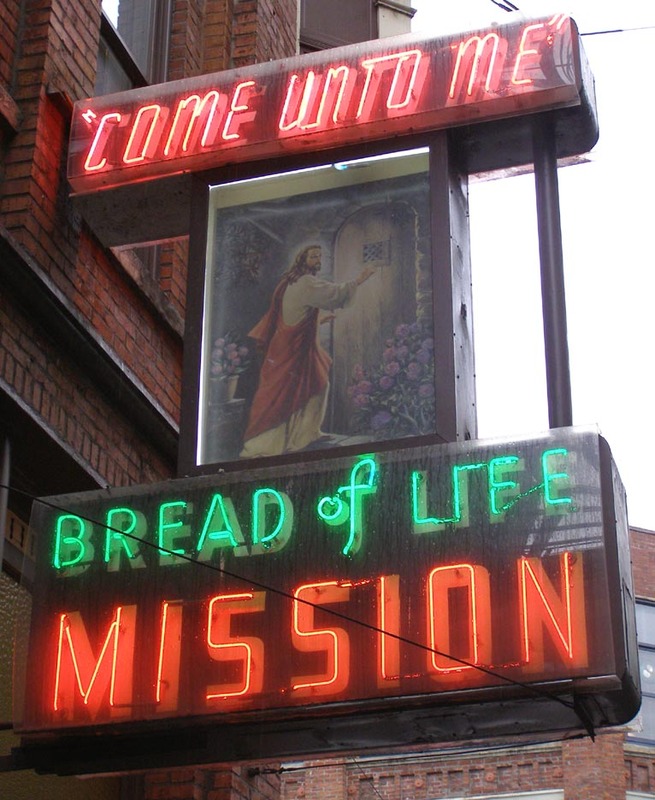 That sign was preceded by a Mission Orange sign which was installed in 1947. These photos are from 2008. 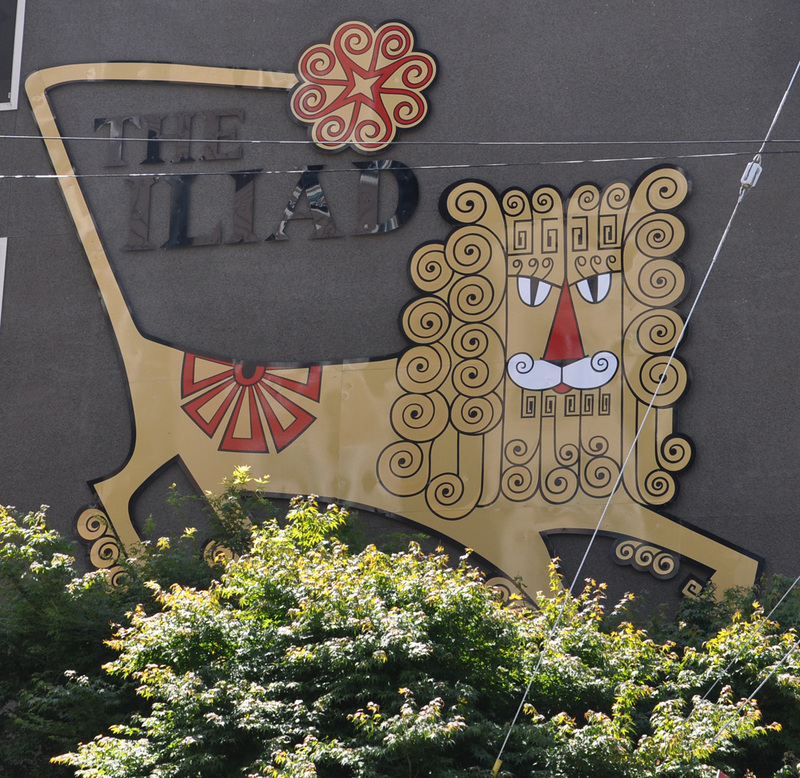 Around 2012, this sign was removed. 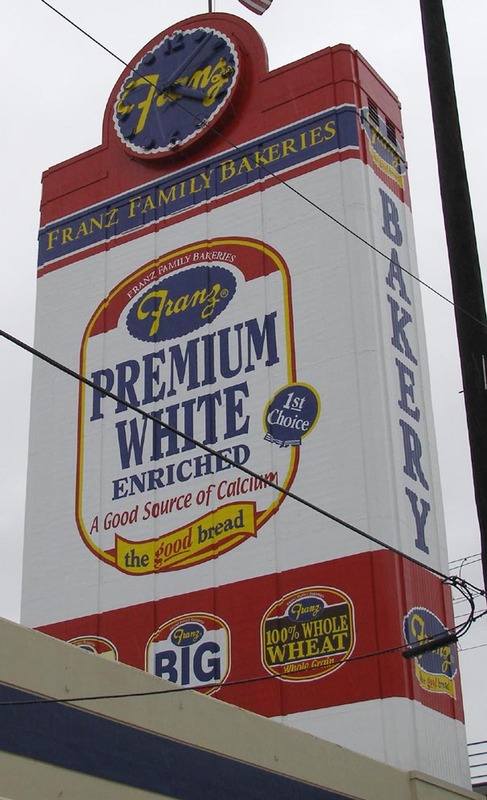 The scaffolding is now used for a normal billboard sign. For more, see these websites: 1, 2, and 3. The Totem Equipment Co. has been here since at least the 1950s. The building was vacant when this photo was taken in 2008. 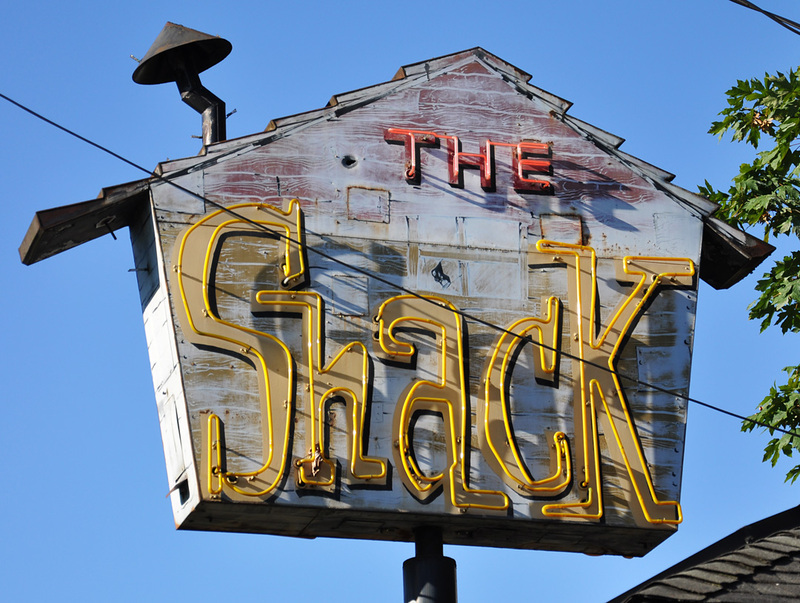 By 2011, the sign had been painted over and was advertising for the KUBE 93 Haunted House. 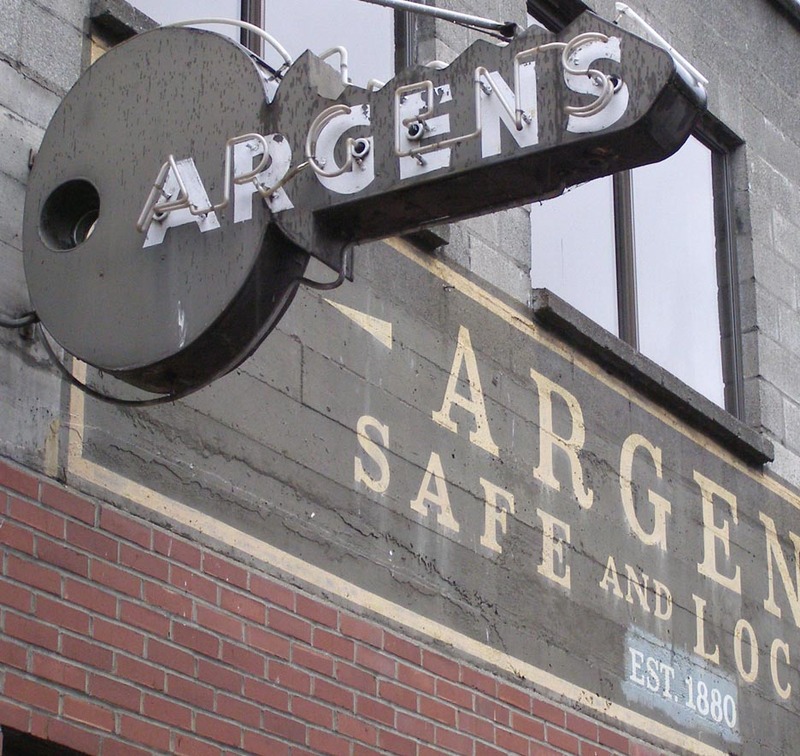 Argens Safe & Lock was founded in 1880. 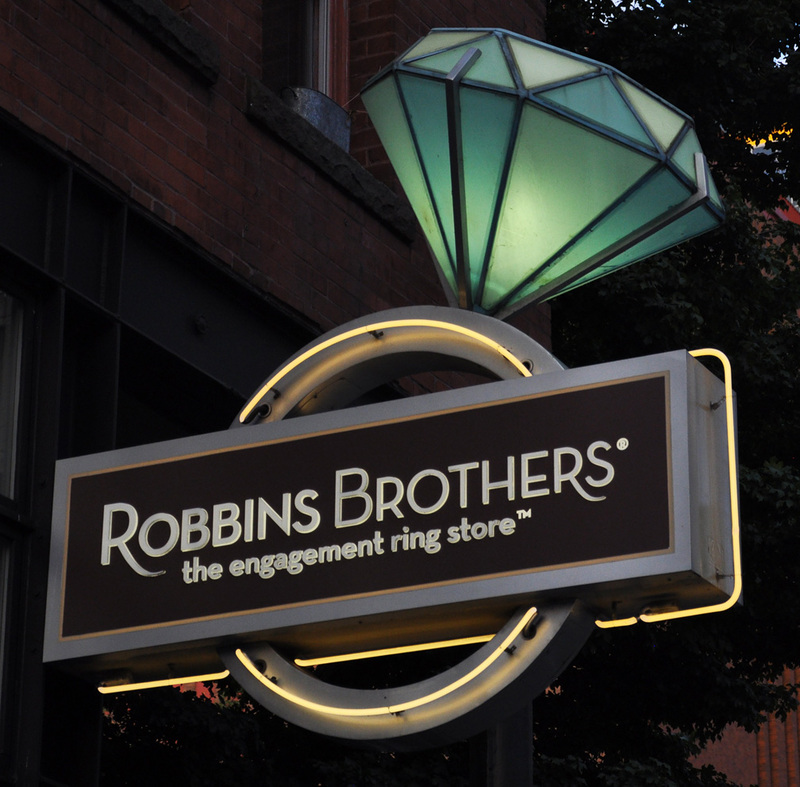 In 1977, the company moved to this location across the street. This photo is from 2008. In 2014, the building was demolished in order to build apartments. This sign is gone. 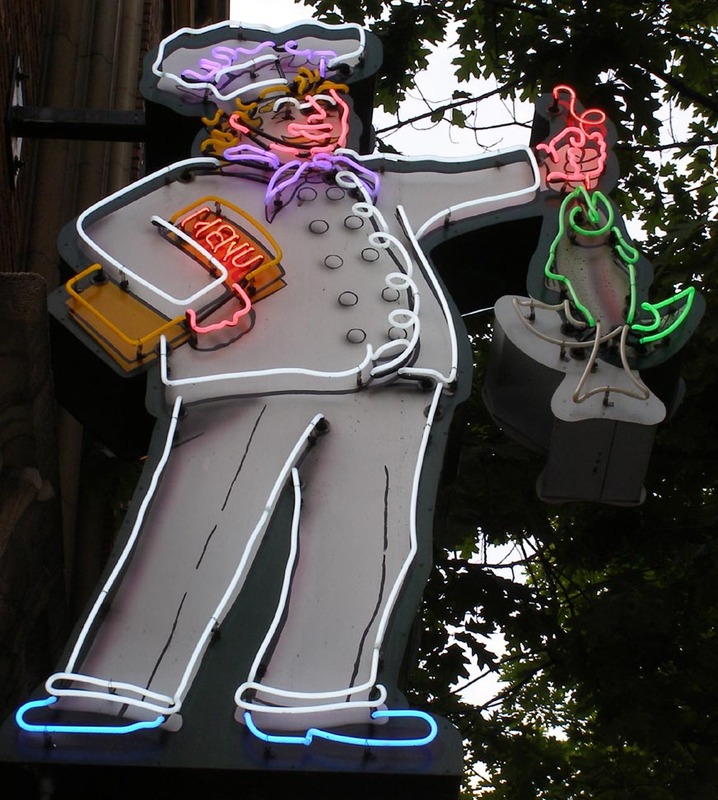 Seattle, WA Loback Meat Co. 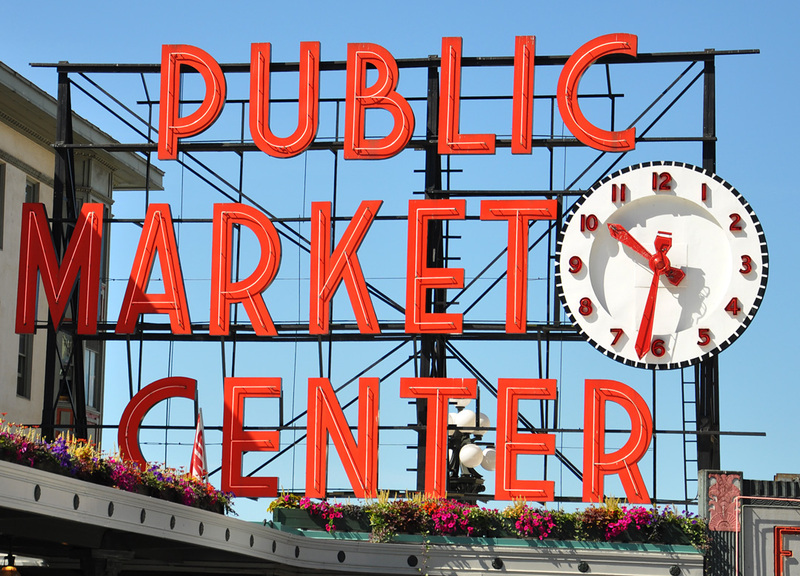 These two signs are located inside the Pike Place Market. 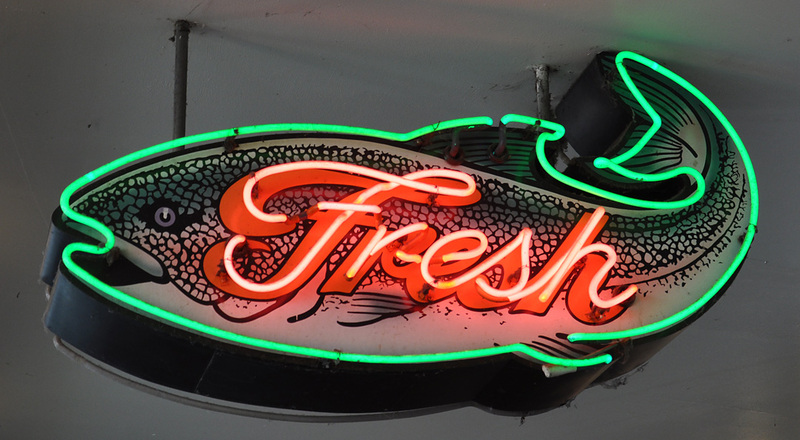 The City Fish Company sign appears to be modern. 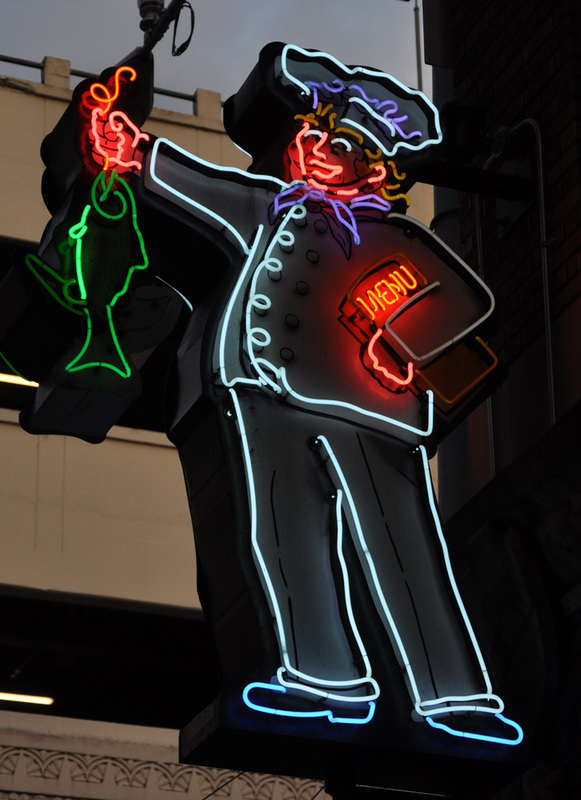 The Loback Meat Co. sign is from around 1947. 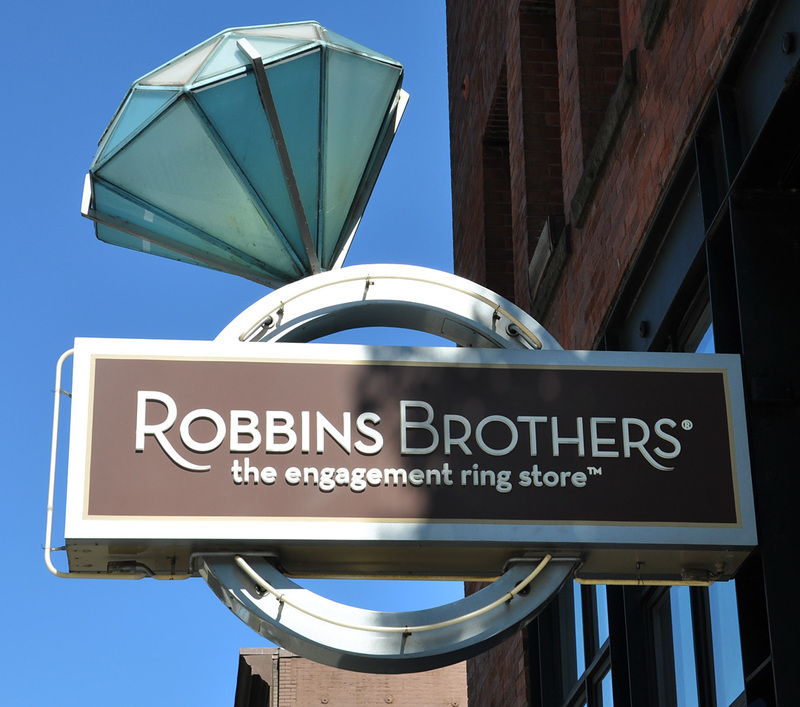 The store has been gone since 1989 but the sign remains. 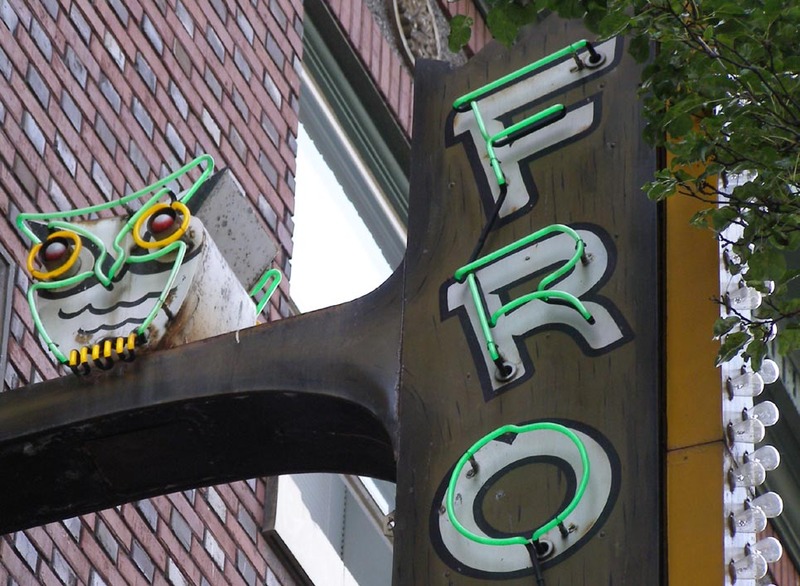 The Frontier Room opened in 1954 and this sign was installed then. 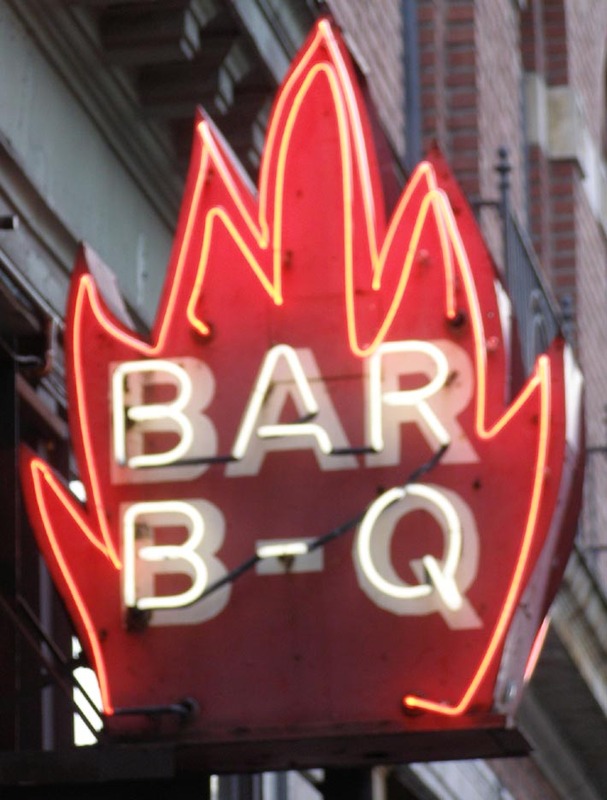 I believe the Bar B-Q sign was added much later. 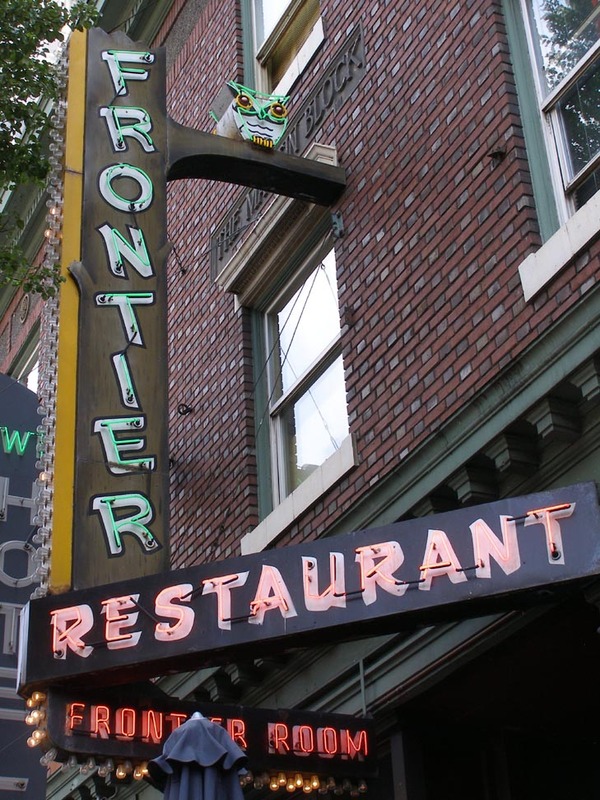 The Frontier Room closed in 2014. The signs were gone by 2015. For more, see this website. 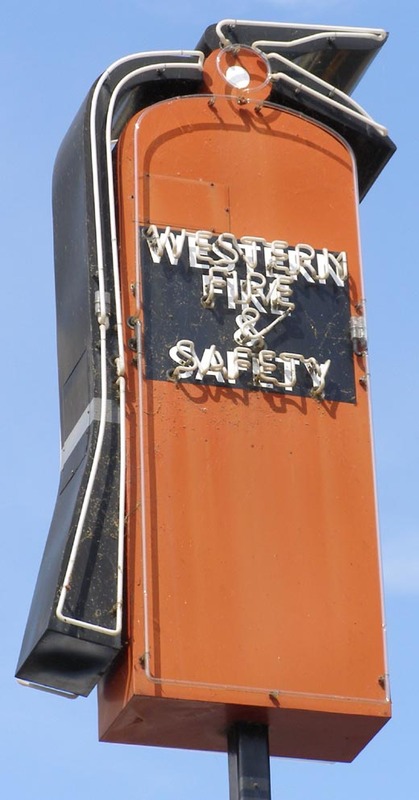 The Western Fire & Safety Co. was founded in 1987. 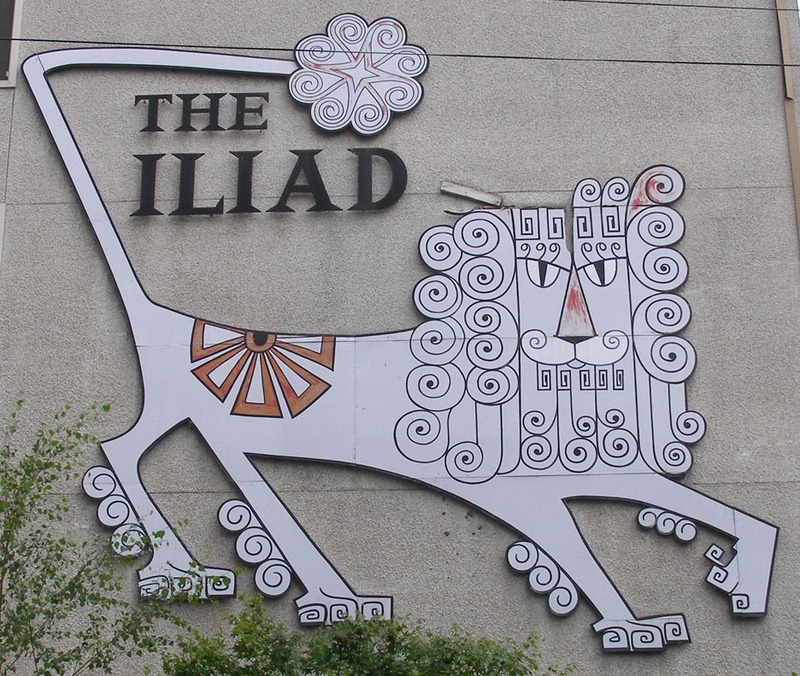 This sign was created around 1997. 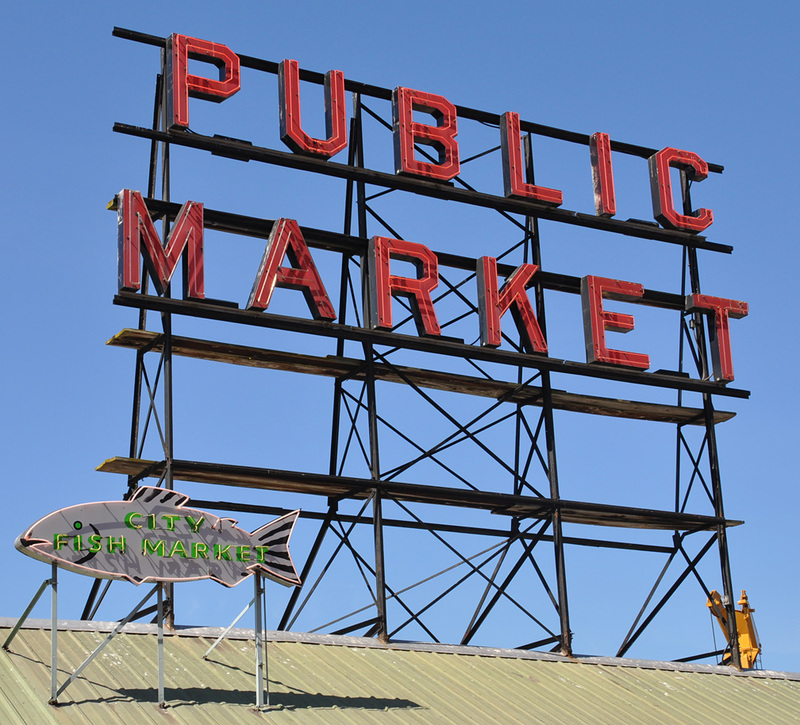 By 2018, this sign was gone. For more, see this website.